We will be using Eventbrite. Click here to register for the Davis event. 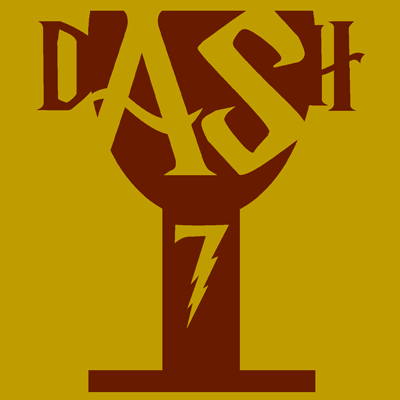 For other cities, the DASH 7 registration page is here. Registration ends at midnight, May 1. Up to six players! 3-5 is usually best, because at that size, everyone can stay involved. Bring whoever you'll have fun playing with, though. We're going to pack your day with puzzle fun! Check-in starts at 9:30 am, we'll start the hunt at 10 am, and most teams will take 6-8 hours to complete their adventure. Davis! We'll meet on the south side of the UC Davis Memorial Union near the fountain and go from there. My name is Paul Rundle, a UC Davis alumnus working at a local startup. I stumbled upon the puzzle hunt community by accident two years ago, and now I'm running a hunt! Don't forget the DASH FAQs! (Note: most of the puzzles in the archives are expert-level. You can see beginner and junior puzzles on the DASH 6 page.) If you have any other questions, feel free to send them to [email protected]. Happy hunting!